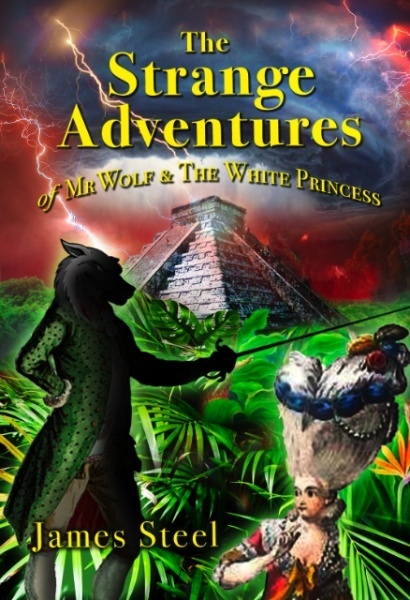 Mr Wolf and the White Princess believe they have vanquished the Raven but the evil genius wants revenge. As they try to cohabit in a magic treehouse in London he sends his dark agents to ruin their new found love. As their relationship implodes they are forced to save it by embarking on a dangerous quest to strange lands. The story races to a shattering climax as they try to discover a secret that holds the clue to the nature of life itself. If you like Neil Gaiman, Jasper Fforde or Douglas Adams, you’ll love this. James Steel is published by Harper Collins, his books have been selected for Waterstones Paperbacks of the Year and the Tesco Chart. James has spoken at the Hay Literary Festival and teaches creative writing at Oxford University.